Sitting here, 2 weeks away from the final year of my academic life, I have finally come to the realization that the kiddie ride is almost over. Talking lately to my good friend Jason Mackey, he told me to really cherish the last year of school because it will fly, and when it's gone, there's no going back. I appreciate Jason because we go through many of the same things, and we're always willing to help one another. Now that "J"is not around anymore, I guess I take over his role as Westminster's sports guy. 2 years ago, I came into New Wilmington not knowing what to expect, and where I'd be as a sportscaster, and without people like Jason to really explain to me guidelines to success, I would probably still be pondering that question to myself. However, I've tried to take in everything my successors have done in front of me, and now it's my time, and the best advice I've gotten is "You can imitate, or be imitated." I think thats a really good way to cut out who is original from who is just acting. 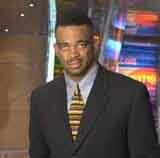 I hope this year and throughout my career I can find "me" as a sportscaster, and take it all the way to the top. The reason for the title today, is because it seems like every single year its the same script with a different cast. In comparison to who was here when I arrived at Westminster, I'll be playing the part of Sebastian Driver. Only I'm not sure I can pull off what he did by himself, I'm going to need troops, which, lucky for me, I'll have. It'll all start with the 2-minute drill, and incorporating people to do it, instead, this yearI'm going to try "beats" where different sportscasters will focus on one or two different sports a season (4 sports total.) I feel this will give people something to focus on and make their own, instead of just doing a bland report with 1 or 2 voices, you may hear 2 or 3, and not to mention there may be 2 editions of it because I'm hoping to cover many schools and teams. You gotta know that you're better than anybody, cause to me, if you don't go in like that, you're gonna lose! They're gonna punk you out! On any stage, court, business venture, on the anchor desk -- whatever. You've got to go in believing I can do this better than anybody.